Many of us find our cabinets and counters overrun with spices in all of their forms: packets, bottles, shakers, and so on. These spices may pile up over a period of time, making an unsightly mess of an otherwise well-kept kitchen. And while this is certainly a problem of image, it is also an impediment to cooking. How many times have you scrambled around the kitchen in vain, looking for that elusive bottle of cardamom? It happens often. But it doesn’t have to. Too many kitchens are plagued by hopeless clutter. The cook has no time for hopelessness, and the kitchen has no room for clutter. Conserving space makes cooking an easier, more efficient, more enjoyable affair. A spice rack will help you to organize the myriad spices your kitchen is host to. 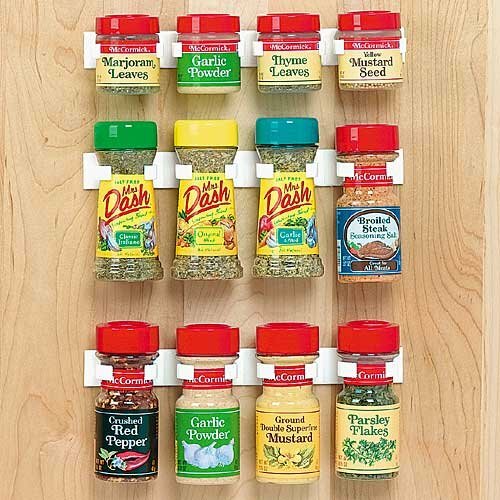 With a spice rack, you can keep your spices out of the way — yet within easy reach. We’re glad you’ve come to Spice Racked! in search of your kitchen solution. Please look around at the many types of spice racks ideas below. We hope we can help inform your decision. 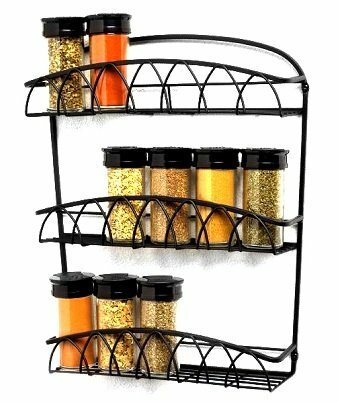 Wall Mounted spice racks come in a variety of shapes and sizes. The materials used to make them also varies. Common examples include nickel, chrome and wood. Mounted spice racks are much more convenient than standalone models which take up valuable table space. These racks are the perfect solution for storing your spices in a centralized location, but also keeping them out of your way so you don’t have to constantly work around them. 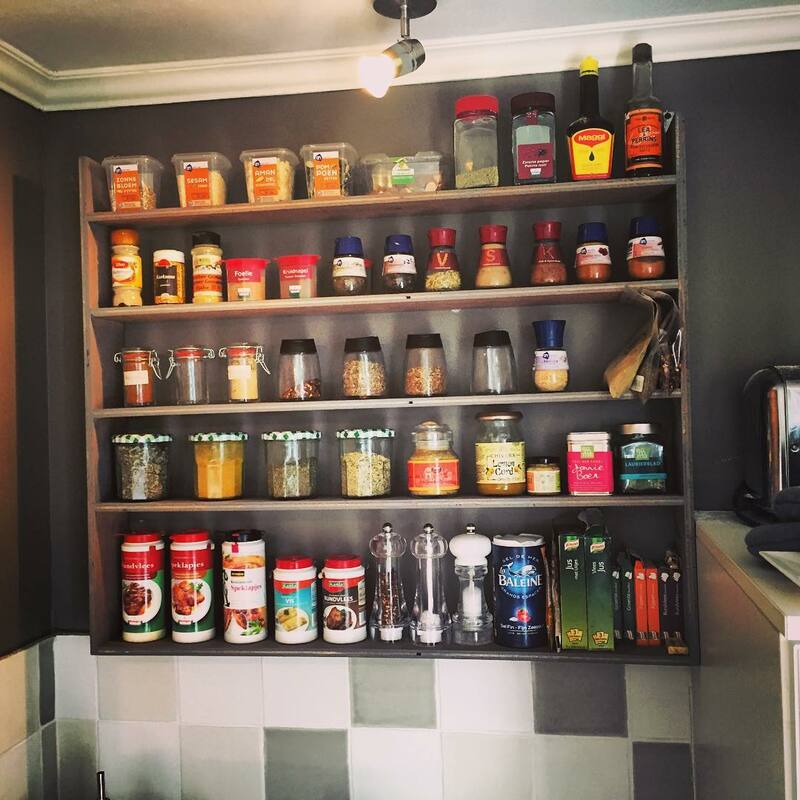 Mounting a spice rack on your kitchen wall only takes a few minutes. Even the most clumsy among us (me, for example) can successfully mount a rack. By having a storage rack, you can free up counter and drawer space which is often limited. Best of all, these racks can be purchased for as little as $10-15. So what are you waiting for? The majority of the units available to purchase come with mounting hardware. Many manufacturers also include the spice jars while others do not. When choosing a mounted spice rack, it is important to find one that not only matches your kitchen’s decor but is also of good quality. I prefer metal spice racks as they last for as long as you have your kitchen. If you choose to purchase a rack that doesn’t include jars, please wait until your rack arrives before you buy the jars. Depending on the size of the rack, you may have to purchase smaller jars. 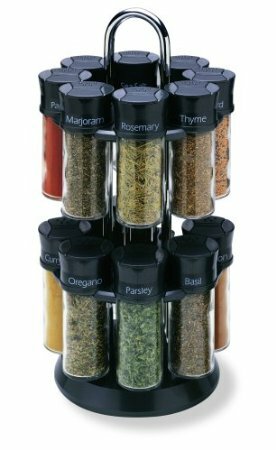 This quality manufactured spice rack features five spice bottles designed to be little gourmet chefs. 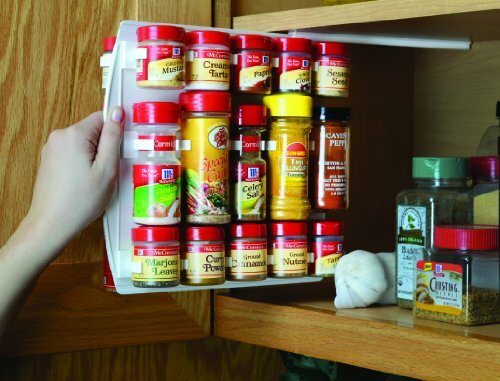 You can easily store five of your favorite spices in one convenient location within the holder. 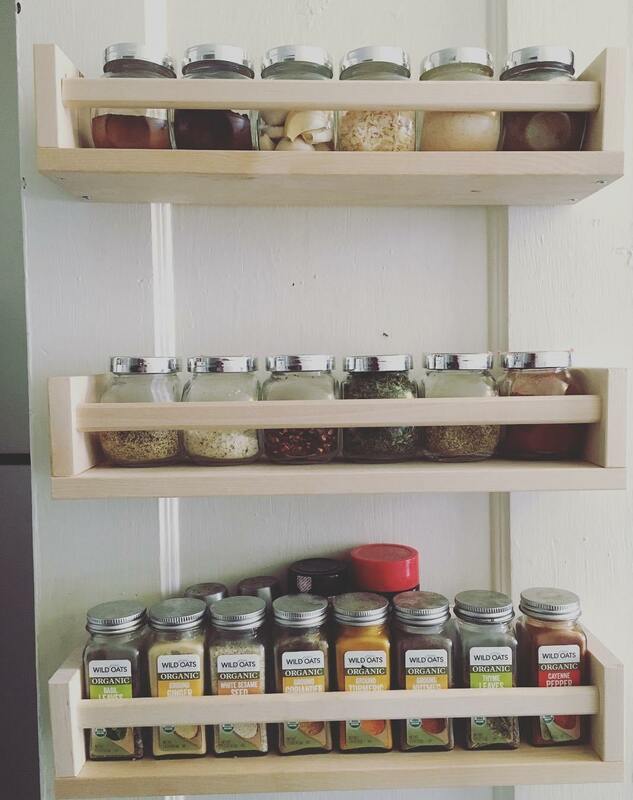 Mounted spice racks are great kitchen furniture. By having one, you know exactly where your spices are stored at all times. Furthermore, having one also helps you to remove clutter from your counter top or pantry. This particular rack will make a nice addition in any kitchen. The rack and the jars are handcrafted and hand painted by expert craftsmen. This is not a cheap inferior rack. Both the rack and the jars are a product of quality workmanship. The spice rack measures 13.38% long and is 9.25% tall. Spice bottles are made from fine ceramic and feature a delicate finish gloss. Each one measures 3.50% tall. 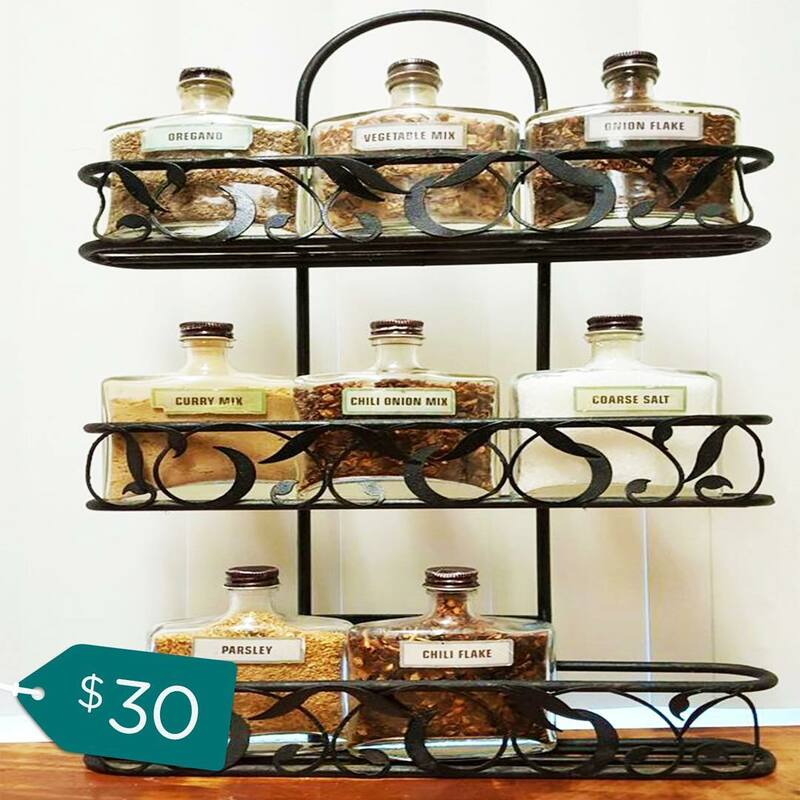 This chef spice rack makes the perfect gift for someone who enjoys cooking. Not only is it very cute, but it is functional also. Made to be durable, it will last and be enjoyed for years to come. Spice racks for countertops allow you keep your spices at your fingertips for easy access while cooking. Kitchen countertops range in size, some kitchens have more countertop space than others and if you have enough room to accommodate a countertop spice rack they can add a huge decorative touch to kitchen decor. Countertop Spice Racks are now more decorative and come in a variety of styles, shapes and sizes. Many have included an additional feature of build in measuring and pouring spouts. You just add your favorite spices to the containers and you are ready to start cooking. Countertop Spice Racks allow you to have your favorite spices handy while you are cooking your favorite meals and if you have limited cabinet space are a great addition to any kitchen. If your countertop space if limited, there are wonderful wall mounted spice racks that add that special touch to your decor. Spice drawer Insert for your drawers can also keep your spices accessible and neat. These countertop spice racks and spice rack organizers are rated 5 stars, by you, the consumer and are just a few of the many standing and countertop spice racks available. Over the Door Spice Rack Ideas – Save Space and Money! 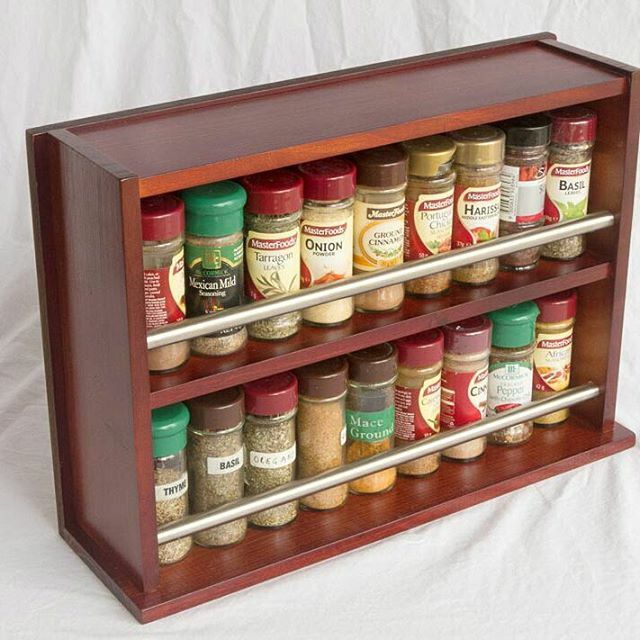 I’ve been looking at a lot of spice racks lately in my quest for the perfect one. The latest style I’m looking into is the over the door spice rack. The over the door rack actually comes in two styles. There is one that actually hangs from the top of the door, and there is one that needs to be installed. The one that hangs over the door does not have to be installed, which gives it an advantage in ease of use. However, the installed ones can also be very convenient and attractive. Plus, they don’t fall off. So let’s take a look a few different styles, shall we? These particular spice racks are all made to hang from the back of a large, or pantry door. They do not need to be screwed in. They merely need to be assembled and hung over the back of the door. These models do hold a lot of spices, and more than spices, really. One can really save you a lot of space in your kitchen. There are a few different widths available, as well as different basket sizes. So make sure to look closely at what you are buying before you order! If you want something to go on the back of a cupboard door, then you want a three tier spice rack or something similar. Most of these will require actually drilling into the cabinet door. You won’t be able to use it otherwise. There are a few different styles available, but not a lot online. Here are the ones we found at Amazon. You may want to check out the Container Store for more selection, if you have one near you. Here are a few more spice racks that fit behind a cabinet door, but are not three tier. There is one that hangs from the top of the cabinet door if you want to avoid the trouble of installing it. That particular model comes in three different styles. I’ve listed it first, on the top, left hand side. 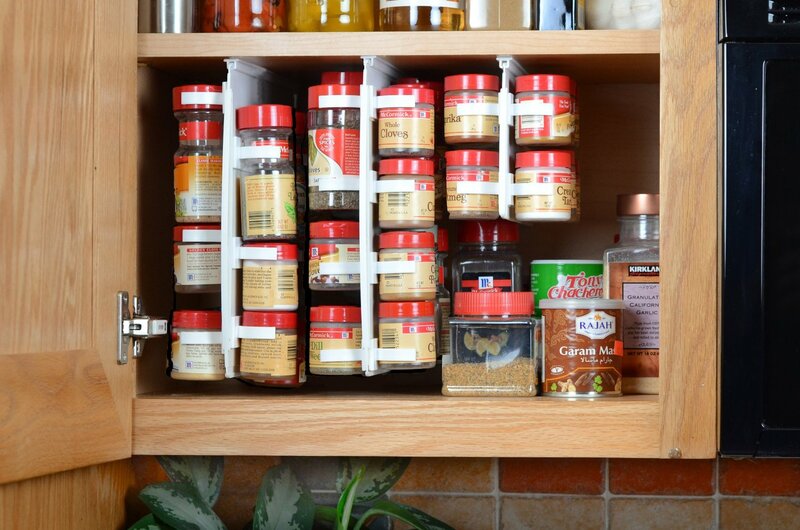 Another option you may want to consider if you want to store your spices out of sight, but are short on space, are spice rack clips. These are very inexpensive. You can buy them in sets of four or three. Each clip hold four spice containers. They fit in a smaller space, allowing you to place them where they don’t interfere behind cabinet doors. 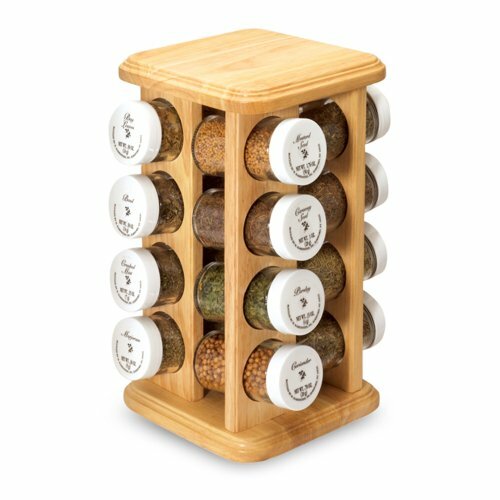 A spice rack organizer is an attractive and practical way of keeping your favorites spices on hand. You’ll be amazed at your choices, too. Just take a look. If you love to cook, you probably like to have your herbs and spices close at hand. 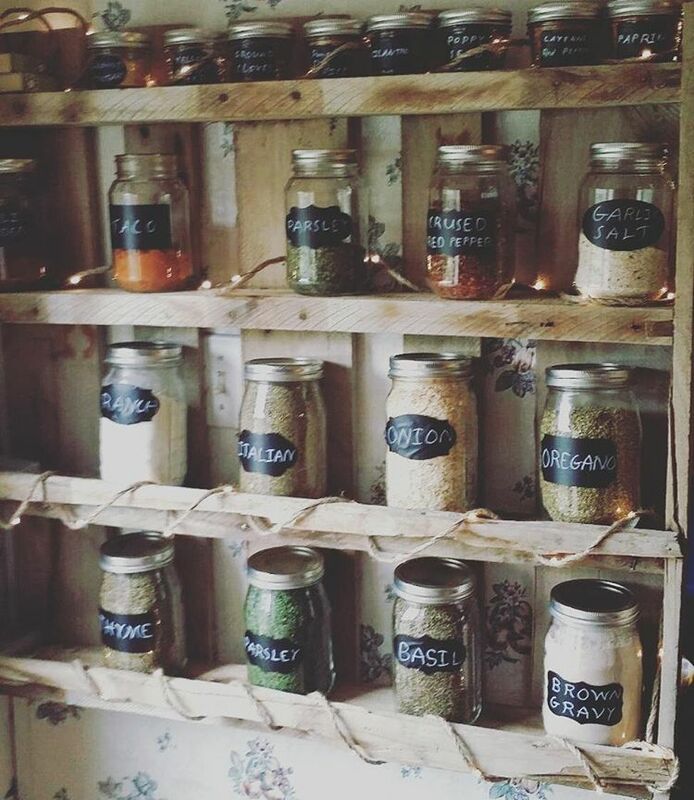 A spice rack puts all your favorites up close and ready to use. You know exactly what you have so you don’t have to rifle through the cabinets. From cabinet styles to wall mount racks, you can find the perfect spice rack to for your needs. 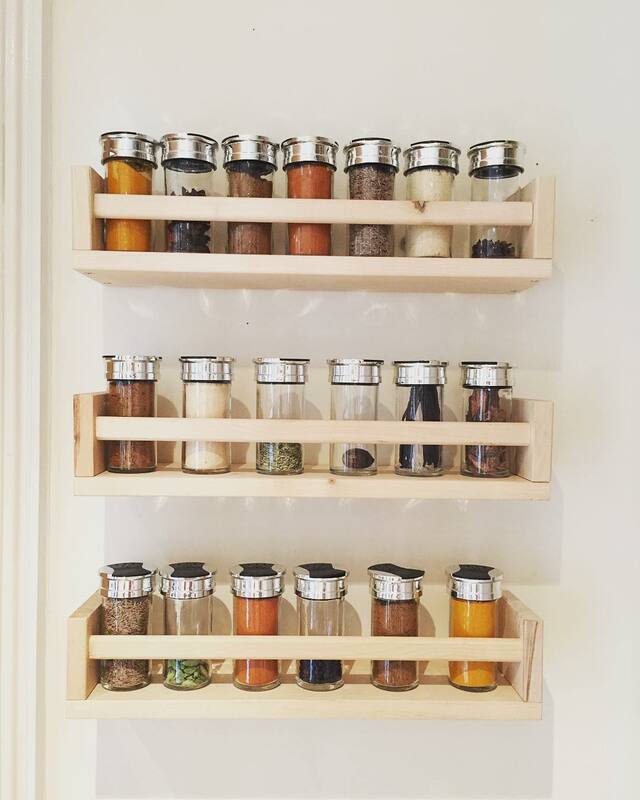 If you’re looking for a way to save your kitchen from spice clutter, you need a spice rack. 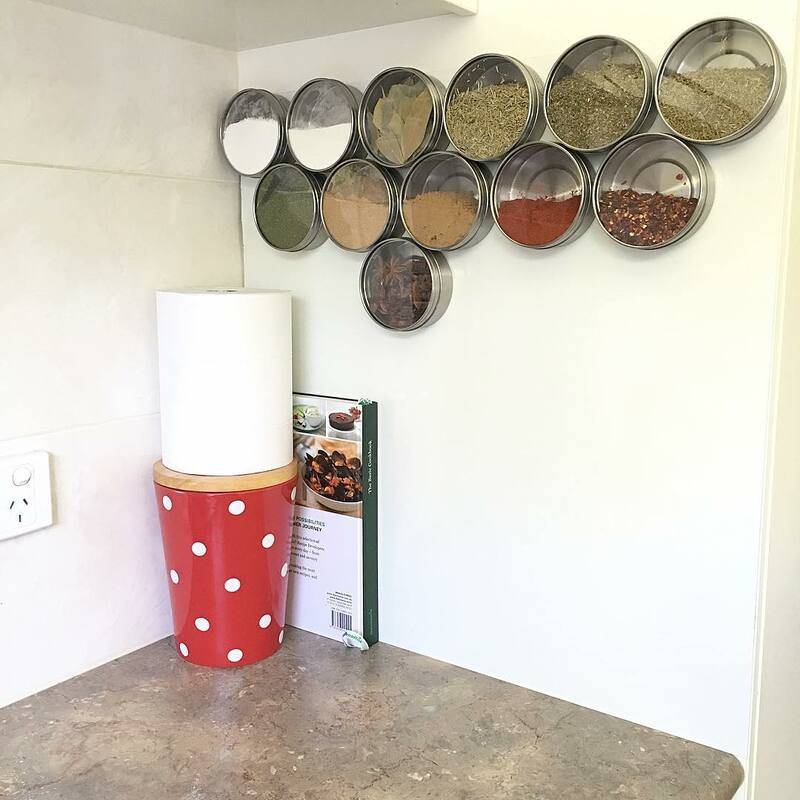 A spice rack can be mounted virtually anywhere. You can mount one on the wall, inside the cabinet, inside drawers, on refrigerators — anywhere! Simply plot out the space where it will best serve its function. There are also a number of styles — remember, half of the spice rack’s function is aesthetic. Wall Mount Spice Rack Organizers: These wall mount spice racks not only keep all your herbs and spices handy, they make a great decorative accent for the kitchen. There’s lots of styles to choice from to match your kitchen decor. Countertop Spice Rack Organizers: If handy is what you want, then a choose a countertop spice rack organizer. You can move it to wherever you need it, whether close to the stove or out by the grill. Cabinet Spice Rack Organizers: You’ll be able to maximize your cabinet space with these drawer style spice cabinet organizers. There’s a variety of styles, from one that mount on cabinet drawers to pull out models for maximum storage. Choosing the right spice rack for your kitchen cabinet is very important. The right one makes your spices easy to get to, which makes the whole cooking process easier. There are several different styles you can choose from. 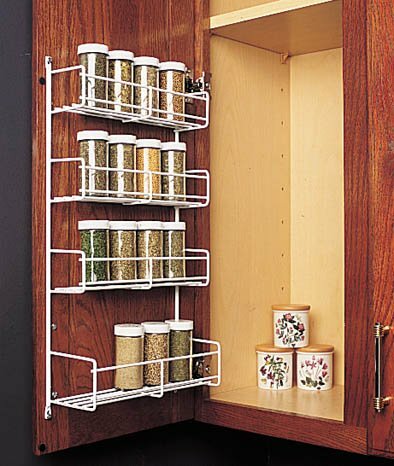 Cabinet door racks place the spices right behind your cabinet door. Lazy susans allow you to spin to select your spices. pull down and slide out racks allow you to better see what you have. 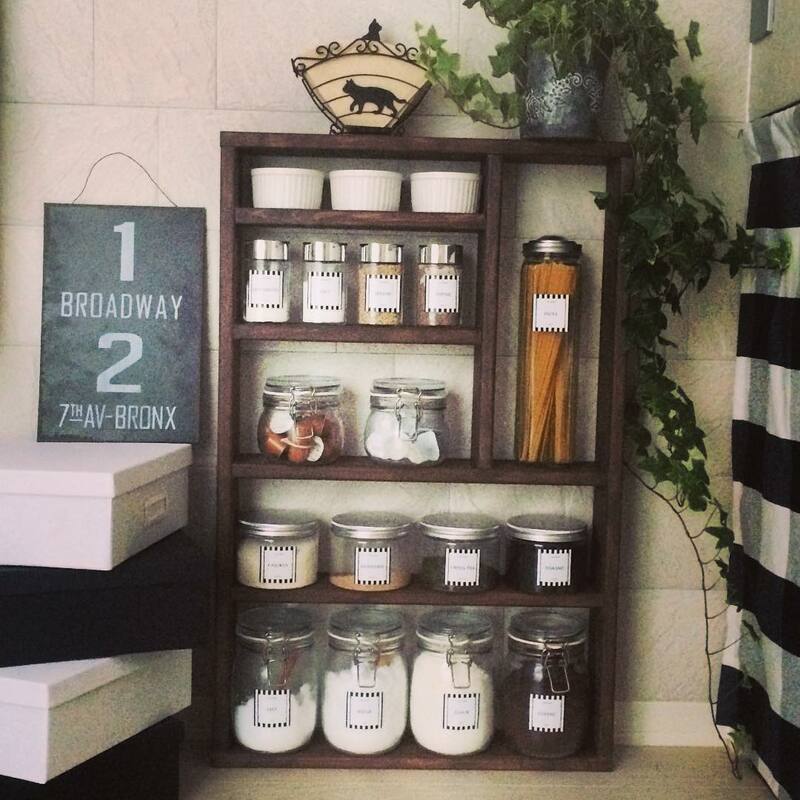 If you need to save space but still be organized, sliding spice racks are a great option. These are not very expensive, but they work well on the store bought normal sized spice jars. Jars of larger circumference or glass jars do not fit well in these spice racks. Here are three sliding spice racks for your consideration. 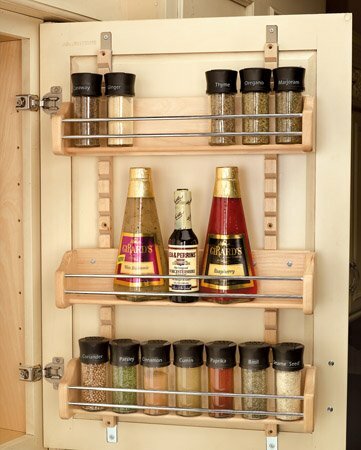 Another great safe saving spice rack is the pull down spice rack. There are styles that go inside a cabinet, and some that attach below. You can use carousel spice racks for kitchen cabinets, but some of them are a little bit bigger than may fit. 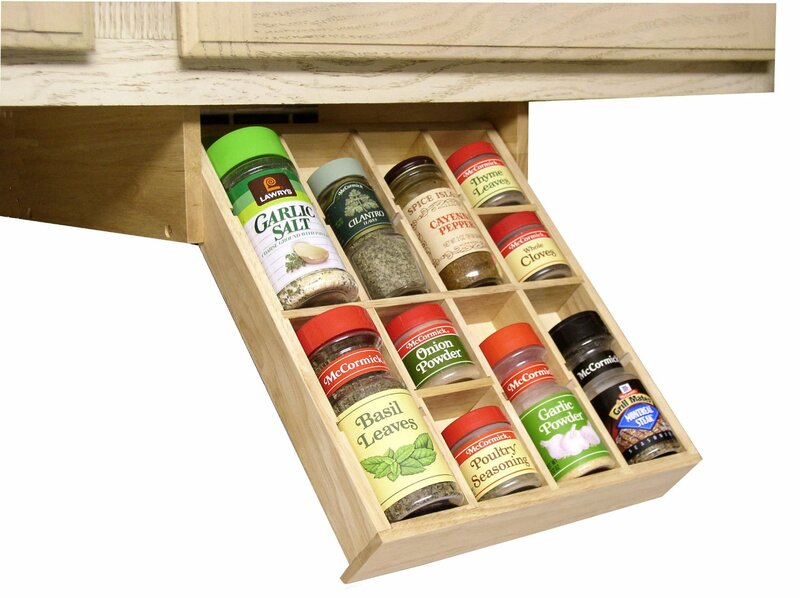 A lazy susan spice rack may work better, as well as the carousel versions. A magnetic spice rack is simply one of the best kitchen accessories that you can find. It is one that exudes a tinge of elegance because of its finish. You can just imagine the nice and beautiful way that it blends with your entire kitchen. Whether you have wood as a general motif in your kitchen, or stainless steel to go with a contemporary designed kitchen, then a magnetic spice rack will surely do wonders. 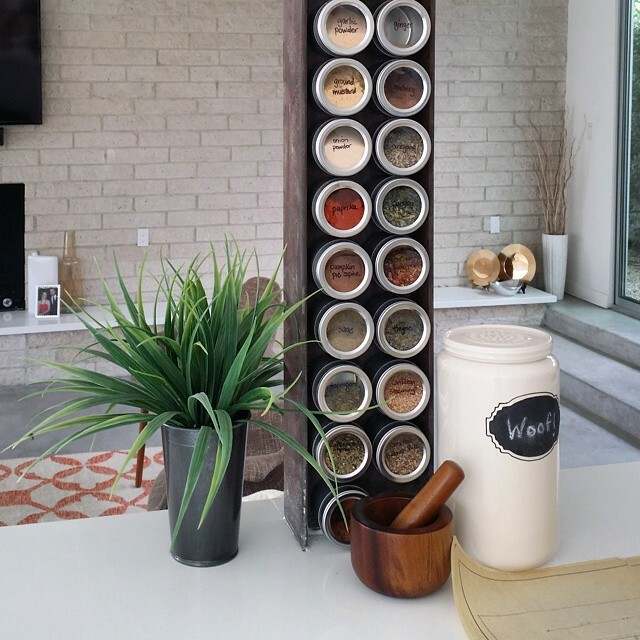 Magnetic spice racks, by the name itself, functions using a magnet. The canisters would be held in place by a magnetic strip that is found on the rack. The canisters would usually be made out of stainless steel so as to ensure durability. This material is also highly compatible with magnets since they could easily be attracted by it. So you can now be assured that your canisters are safe and in place. These magnetic spice racks actually looks different in the kitchen, as compared to traditional spice racks. They could very much act like your décor instead of functioning merely as a rack. The shiny finish of the racks makes them a truly elegant kitchen feature. You must not worry if you have a wooden themed kitchen because the magnetic spice rack would not contradict the theme that you have. In fact, it would be an interesting detail in the kitchen itself. You would be surprised to see that it just looks perfect. Of course, if you have a contemporary designed kitchen, then you would definitely see the fabulous look that a magnetic spice rack will give your kitchen. It shall blend flawlessly against your kitchen wall, and will surely complement other kitchen appliances and furniture. Sometimes, it serves more as a kitchen décor than as a spice rack. A truly wonderful thing to have in the kitchen! When you have a wooden spice rack at home, for sure, your kitchen would look tidier, more organized, and definitely lovelier. Wood has always exuded elegance in every home, which is why, you can just expect it to enhance your kitchen with its presence. When all of your spices are safely and neatly stored on a wooden spice rack, you could definitely see your kitchen a neater and better place to work at. 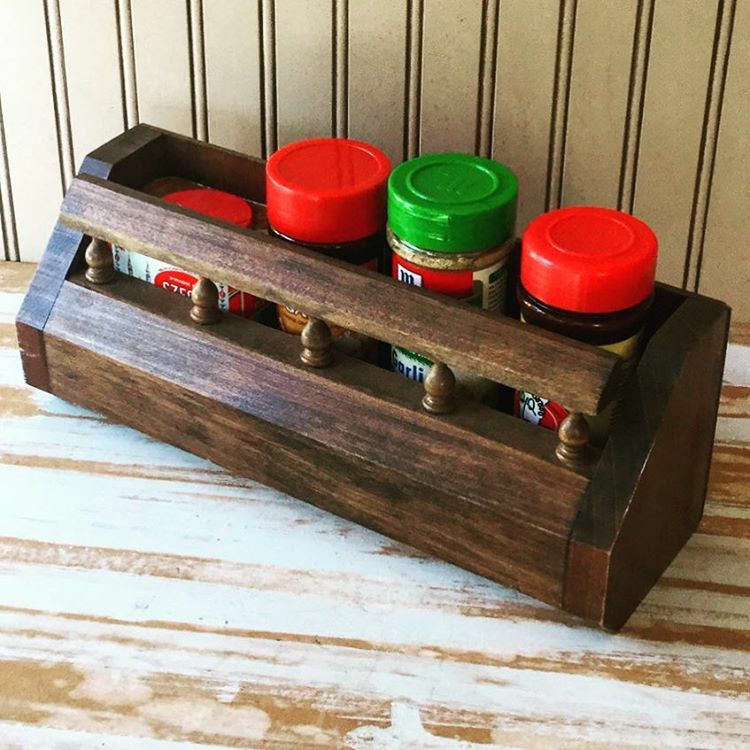 Wooden spice racks come in a variety of styles. If you want to see all the spices that you have in the kitchen in a single glance, then those wooden spice racks that are comprised of several tiers would be the perfect one for you. 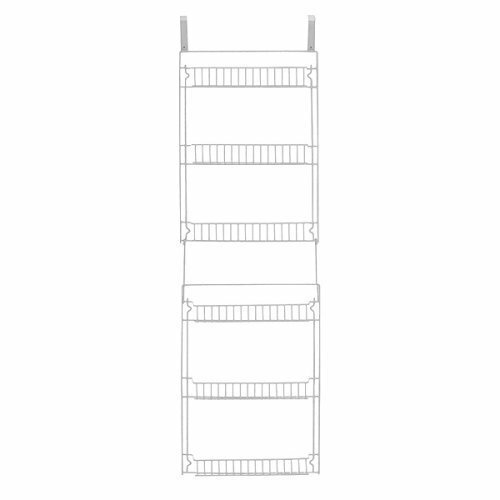 There are racks that have two tiers and some would have three. They would be made from different types of wood and also with varying kinds of finishes. You can then choose the one that would closely match the design and overall look of your kitchen. 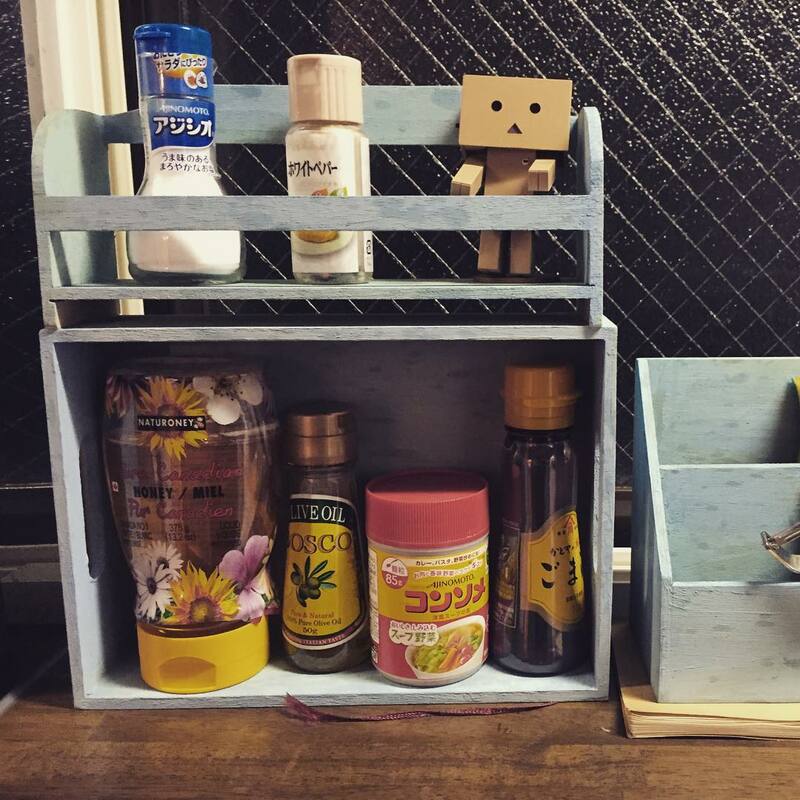 There are also revolving types of wooden spice racks. These racks could be placed on your countertop and you could just turn them around whenever you want to find the spice that you are looking for. These racks are elegant and they always make your kitchen countertop lovely to look at. 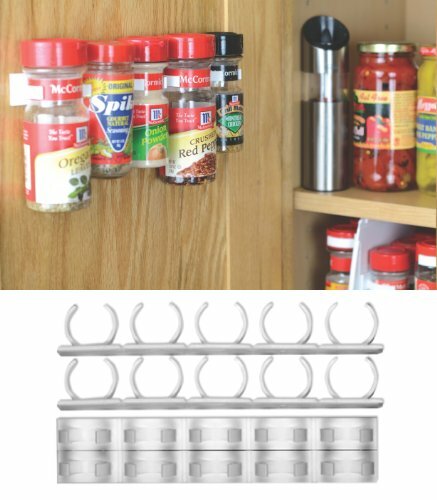 Depending on the type of rack, the number of spice canisters that it could hold would also vary. Some would be able to hold 16 large canisters. The rack is made of hardwood acacia, ensuring you that it would last for a long time. The rack includes some lovely spice bottles that could easily be labeled so that you may easily identify the space that you would like. The jars are sealed well, preserving the spices that you need for your delectable meals. Of course, having a wooden spice rack at home would ensure that your kitchen would always look neat and orderly. You would not find spice bottles scattering all over your countertops. Hence, it could definitely save you some space in the kitchen and could also save you time, since you would only need to look for the spices that you need in one particular place. At home, I use a two-tier wooden spice rack made by Out of the Woods. This wooden spice rack holds all the spices that I need securely and I always manage to find the right spice whenever I need it. The rack is simply easy to use and proves to be really helpful whenever I prepare meals for my family. And, probably the most convenient thing that the spice rack brings is that you would be able to save time. With all your spice bottles placed securely on the rack, you would immediately know where to look for the spice that you need. You would not be searching for it frantically all over your kitchen when the time comes that you need to use it. Hence, you would definitely be saving precious time. 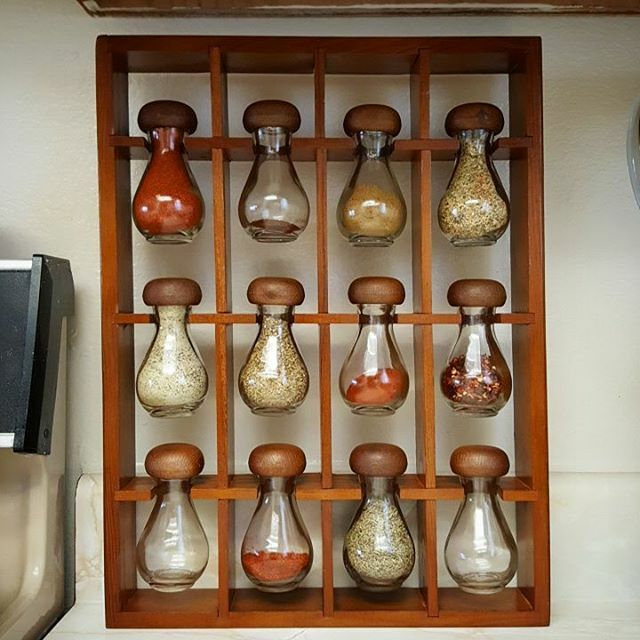 For so many years that I have been cooking for my family, my kitchen would always have a wall mount spice rack. I couldn’t just imagine what it would be like in the kitchen without it. For sure, I would not be able to save time wisely. The rooms we keep say a lot about us. If your kitchen is sending out the wrong message, it’s time to correct it! If you’ve been looking for a sleek and stylish way to organize your kitchen, meet your new friend: the spice rack.